Tag Archive | "mid coast real estate"
A recent message contained an advertisement for Ambato apartments and condos for sale. 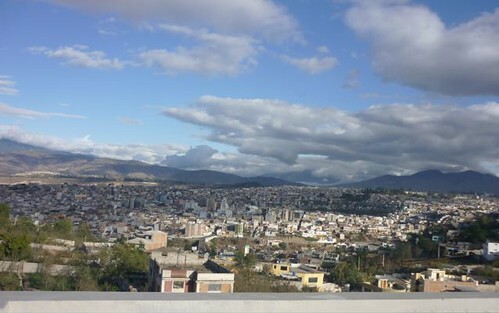 Because of Ecuador’s growing real estate market, you can enjoy an Ambato, Ecuador real estate tour free. Yesterday’s message on Cuenca real estate showed how much global attention Ecuador real estate is gaining. As the Ecuador real estate market booms, we are doing as much as we can, as a small company, to help our readers gain an entire view of this wonderful Andean country. We have added Ecuador real estate tours in three new locations and expanding our staff and contacts throughout Ecuador. 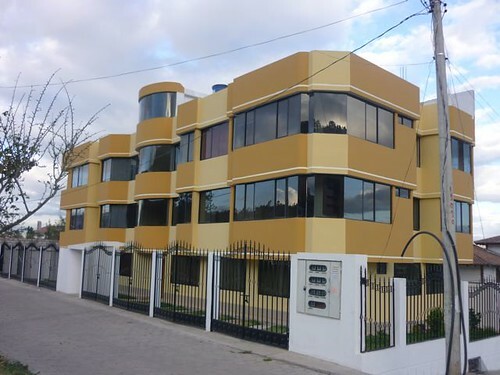 For 2010 we have added Cuenca real estate tours, Quito/Mindo real estate tours and south coast Ecuador real estate tours as well as the Imbabura real estate tours and Ecuador mid coast real estate tours we have conducted for several years. We have been conducting Ecuador real estate tours about a decade longer than anyone else… yet it takes time to develop a structure to provide Ecuador real estate tours everywhere so when Eddie Santamaria, the Ecuadorian living in York who placed this ad suggested offering a tour to see his condos and apartments. We thought, “Why not?” and suggested he offer a tour after our January Cuenca tour. Eddy replied: I believe that Ambato provides great opportunity. Let’s do this: Tell me what the expenses, for a van and driver are and I will pay for them. I can make arrangements with Hotel Ambato so everyone is well taken care of with no money coming out of their pockets, including your staff. What I mean is that I will pay for all of their expenses. This means that from now on, you can market to all your readers that the tour includes “Ambato tour” with all expenses paid. Another: If as a result of the tour, any one of those people attending or because they were referred to me and He/She purchases the whole unit, I will give you 3% of the sale. How does the above sound to you? Please let me know. It will cost the delegates nothing and they get everything. And, do not forget, “I” will be there along with them. Also, I will make myself present in Cotacachi or San Clemente so you and I can discuss the trip to Ambato. I’ll do this again in January. Eddie. So we agreed except for one thing. We do not accept commissions! So we have asked Eddie to give any delegate or Ecuador Living subscriber a 3% discount on any property purchased. Here are our upcoming courses and tours. Eddie’s Ambato Real Estate Tour will be January 25 – 26, 2010 right after our Cuenca real estate tour. See below. Eddie’s free Ambato real estate tour will be January 25 – 26, 2010.